THIS IS A PATTERN ... NOT A FINISHED HAT. This is a listing for "Crochet Hippopotamus Hat Pattern"
- 2 grey buttons (optional) about 3/4 inch. 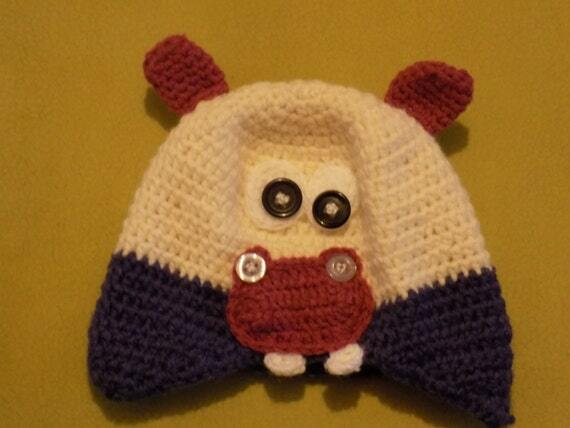 Pattern includes details of how this hat can be done for Newborn, Toddler, Preschooler, Child, Teen and Adult. The pdf file includes 12 pages, in which I present step by step instructions with photos of how you can create also this baby hat.